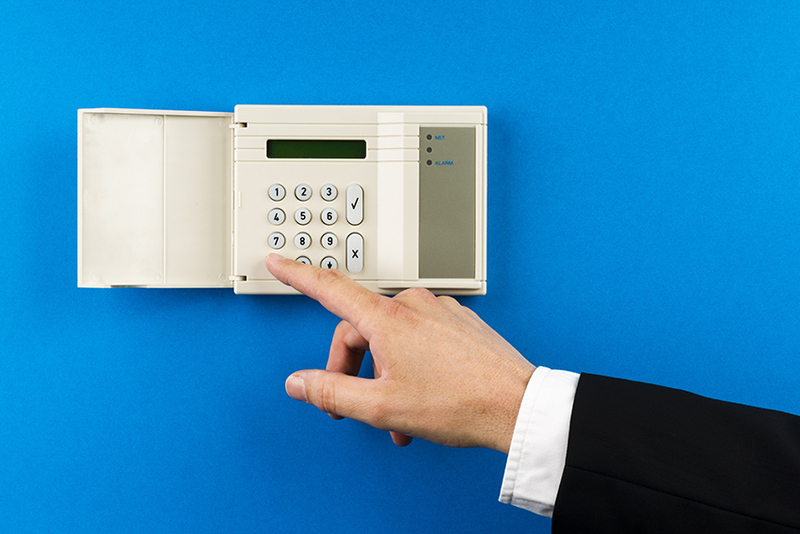 Business alarm systems can seem like an unnecessary expense, but these security measures can provide many benefits that more than make up for the amount of money invested in them. If you’re on the fence about whether to install such a system, read on. Here are just a few of the many reasons to invest in business alarm systems. Whatever your business, a visible security presence makes it much less likely anyone will commit a crime on your property. Studies show that people who are aware they are being monitored are much less likely to do anything criminal or unethical. Items such as security cameras and security system logos can stop a crime from ever taking place, whether it comes from an outside criminal, or from within your own staff. Once a burglar robs a business, they’re statistically more likely to come back to the same place if nothing impeded their first effort. However, with services like business alarm monitoring providing fast police responses and alarm systems creating a deterrent through an audible signal, it’s unlikely that a burglar will attempt to repeat their performance. With these systems in place, it won’t be long before most of the burglars in your area will know to avoid your property. We all would like to think that we can rely on our neighbors to call the police if something illegal was happening on our property. However, in more remote areas, industrial areas or in areas with high crime rates, such things can go unnoticed. Business alarm systems and business alarm monitoring services ensure that even if no one reports suspicious activity, the police will arrive to correct any issues before the criminal can get away. Business security systems which come equipped with cameras can provide an important resource in asset recovery. They can make it clear, in a court of law, precisely which items were taken, and by whom. Even business alarm monitoring services can aid with this, allowing police to catch criminals in the act. With these kinds of security measures, a robbery doesn’t have to mean you will lose precious inventory or equipment. The legal system can be tricky, but if you’re looking to prosecute a criminal, any bit of evidence you can provide will help your case. The records of business alarm monitoring services, or the data gathered by any of the other services offered by business alarm systems may be useful when making your case. Prosecuting criminals not only gives you peace of mind, but also prevents them from doing the same to anyone else. Business security systems have been shown to prevent crimes, as well as make it easier to recoup your losses should a crime occur. They can help your employees feel safer, and keep unscrupulous employees from taking advantage of you. Despite the apparent cost, many of these tools such as business alarm monitoring services, and security cameras, you may save money in the long run.